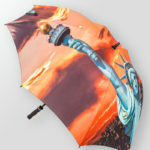 Earlier this week we told you about everything we learned when Peerless Umbrella stopped by, and yesterday we switched gears to learn about new apparel options from Cutter & Buck. You may have heard of Cutter & Buck before, as they are a high-end retail brand offered in stores such as Nordstroms and many golf pro shops. Choose easy care for a crisp, professional look. 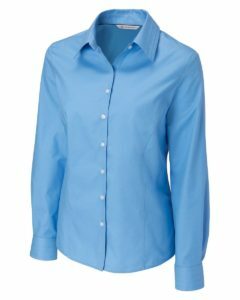 This wrinkle-resistant 60% cotton, 40% polyester twill provides the powerful style you desire. 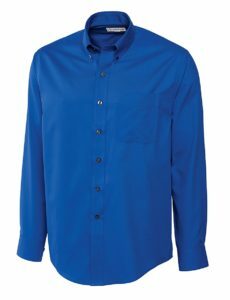 The button-down collar, coordinating logo buttons, double-back pleat, barrel cuffs with tonal C&B pennant embroidery, and chest patch pocket offer a strong appearance for men. The tailored-fit styles are cut closer to the body with higher armholes resulting in a trimmer silhouette. Ladies enjoy pin-tuck detailing on the collar and cuffs, coordinated logo buttons, piping on the inside back neck, eye-catching princess seams, and a tonal C&B embroidery pennant. 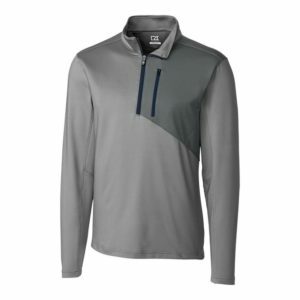 Incredible design goes hand-in-hand with sporty performance in the Shaw Hybrid Half-Zip. 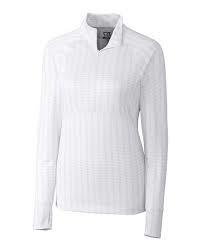 The mock neck protects against wind and sun while the ultra soft, 92% polyester and 8% spandex fabrication wicks moisture to keep you comfortable. The contrast piecing, C&B heat transfer at the back neck add a modern touch. Ladies’ include zip pocket at the sleeve for added storage. Light as a feather with an elegant tonal texture, the Men’s CB DryTec Hamden Jacquared is built to perform. 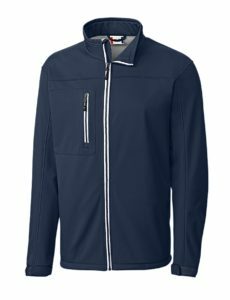 The moisture-wicking 100% polyester jacquard fabrication with tonal stripes and side vents ensure all day comfort, while the silver piping at the neck, and C&B pennant embroidery at the back provide modern style elements. 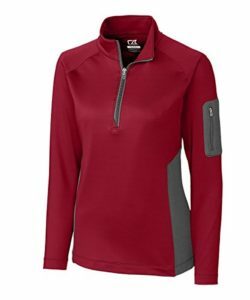 Look your best while you perform in comfort with the moisture-wicking Ladies’ CB DryTec Hamden Half-Zip. The 100% polyester and jacquard jersey fabrication with tonal stripes, and thumb holes on the cuff provide for a cozy start to those cool mornings. Outsmart the wind, rain, and cold with this lightweight, high-performance softshell. 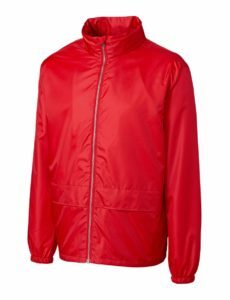 Fashioned from duable 96% polyester, 4% spandex plain weave softshell fabric, the Telemark fabric is waterproof to 1,000mm, keeping you dry. The mock neck, microfleece lining, and elasticized cuffs keep you cozy, dry, and protected from adverse weather. 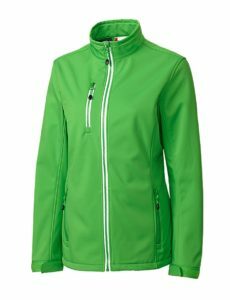 Neither wind nor tight budgets stand a chance against this stylish 100% polyester windbreaker. Styled with elastic cuffs, convenient stow-away hood, and covered front pockets, the Moss is the perfect option for lightweight weather protection. it also includes an internal locker loop for easy storage when the elements are less inclement. 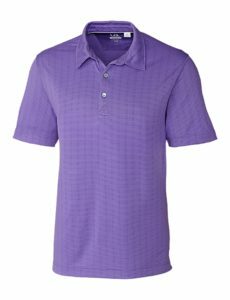 Do any of these items seem like the perfect fit for your next round of corporate apparel? Just let us know and one of our Account Managers would be happy to share more information about these and other great Cutter & Buck items!